Welcome to the beginning of Project Fairy Tale! If you want to learn more about this fun event head over to my intro post! 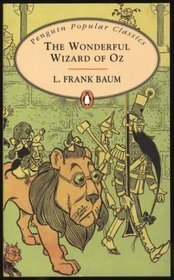 I am sure that many of you are at least slightly familiar with The Wonderful Wizard of Oz by L. Frank Baum. However, many of you probably don’t know that The Wonderful Wizard of Oz is only book one in the original series of 14! Those of you who follow my blog know that I am a collector of Oz books, specifically of any editions from the original series, though I have read a few from the continuations. Those of you who are only familiar with the film version of The Wizard of Oz are missing out on some things from the book so in lieu of a traditional and in depth review I am going to provide you with a longer summary than I usually do and then give you some insight to my feelings. As many of you know Dorothy is a young girl who lives in Kansas on a farm with her little dog Toto, her Uncle Henry and Aunt Em. Life on the farm is not too thrilling for Dorothy until the day the cyclone appears and whisks both Dorothy and Toto away to the Land of Oz. They are planted right in the middle of the Munchkin Country and soon find that their house has landed on (and vanquished) The Wicked Witch of the West. The Good Witch of the North (Not Glinda) comes to Dorothy and provides her with the silver shoes (not red) from the now dead Wicked Witch. She then tells Dorothy that if she wishes to return home to Kansas she must follow The Yellow Brick Road to The Emerald City and ask The Wizard of Oz to help her. The journey that follows enables her to cross paths and assist The Scarecrow, The Tin Woodman and The Cowardly Lion. These three decide to accompany Dorothy on her journey to see The Wizard, The Scarecrow is in search of a brain, The Tin Woodman desires a heart, and The Cowardly Lion would like some courage. Over their journey they overcome many obstacles, such as one of my favorite Ozian predators: kalidahs, creatures that have bodies like bears, heads like tigers, and claws long and sharp enough to tear a lion in two. The gang survives their meeting with these characters and their trip through a field of poppies and finally arrive at The Emerald City. At The Emerald City the group finally obtains a meeting with The Wizard, but each meets him alone, and each sees him as something completely different and unique to their wants or fears. For example, Dorothy sees The Wizard as a giant head, The Scarecrow sees a giant ball of fire, The Tin Woodman sees a beautiful woman and The Cowardly Lion observes a beast. After their meeting, The Wizard says that he will help them obtain what they wish if one of them kills The Wicked Witch of the West. The travelers set off to The Winkie Country in search of The Wicked Witch of the West. The Wicked Witch of the West is very cunning and evil, and she tries her best to kill the group traveling toward her. First, The Wicked Witch sends her wolves to try and kill Dorothy and her friends, the Tin Woodman uses his ax and kills them all. After this fails, The Wicked Witch sends her crows to try and peck the travelers eyes out but The Scarecrow saves them by grabbing them and breaking their necks. The Wicked Witch then sends a swarm of bees after them to sting them to death, the travelers use The Scarecrow’s straw to hide under and the bees die attempting to attack the Tin Woodman. The Winkie soldiers then attempt to attack the crew and The Cowardly Lion succeeds in scaring them off and finally, The Wicked Witch uses the Golden Cap to summon the Winged Monkeys to capture Dorothy. After The Wicked Witch of the West has Dorothy in her clutches she is able to trick Dorothy into handing over one of her silver shoes. This angers Dorothy and she promptly picks up the closest thing to her, a bucket of water, and throws it over The Witch, which to her surprise, melts and vanquishes her. Dorothy then uses The Golden Cap to summon the Winged Monkeys and carry her and her companions back to the Emerald City. At the Emerald City Toto reveals The Wizard to be a regular man who has traveled to Oz in his hot air balloon. He provides The Scarecrow, The Tin Woodman and The Cowardly Lion with focuses for their heart’s desires. He decides that he will return Dorothy to Kansas by using his hot air balloon and places The Scarecrow in charge of Oz. Unfortunately the hot air balloon leaves without Dorothy and they are forced on another journey, this time to Glinda’s Palace in the Quadling Country. They must again journey through treacherous lands past Hammer-Heads and Fighting Trees. Once they finally get to Glinda’s Palace, she tells Dorothy that The Silver Shoes have the ability to bring her wherever she wishes to go. Through their travels, The Scarecrow, The Tin Woodman and The Cowardly Lion fought their own battles and won their own rights to rule different kingdoms once Dorothy leaves. She says her farewells, clicks her heels together three times and is returned home to Kansas. The end! So, there’s no place like home, right? As a kid, that was not the case for me. Before Harry Potter made its way into my life, these books were my escape and obsession. I used to sit in my tiny bedroom and wish as hard as I could that I would be taken away via silver shoes or magic belt. I own every book in the original series and to be honest this book is actually my least favorite. The series continues in a beautiful way and the lands become broader and the characters deeper and significantly more fun and unique. If you have some time and are looking for some quick reads to remind you why you fell in love with reading in the first place, I suggest picking up some books in this series. Later on in the week I will be reviewing the movie for you (another obsession of mine) and we can talk about the significant differences between print and film then. For now, tell me, have you read any of the Oz books? Do you have a favorite memory or character? This entry was posted in Event, Project Fairy Tale, Reviews and tagged project fairy tale, The Wizard of Oz. Bookmark the permalink. Have you seen Return to Oz with Fairuza Balk when she was just a little kid? I’m guessing yes since you’re an Oz fan, but you never know! My sister and I watched it when we were kids and the movie kind of scared the crap out of me LOL. YES I have seen it and have it from the library. I can’t wait to watch it again for this feature..it freaked me out soo bad!! Great post! I loved these books as I child! I actually own many of the original 1st edition printings, handed down from my mom. My favorite of the series is “Ozma of Oz” because of Tiktok and the awesome villain, the Nome King! I wish I had first editions!! I found a few at a used bookstore and I almost died. Also, Ozma of Oz is my favorite as well!!! Seriously, loved reading the Wizard of Oz when I was younger! I liked the hammer head things – no clue why! I haven’t read any of the other books, but definitely would like to. A while back there was the complete collection of the Wizard of Oz books for kindle for $.99. Guess who bought it?! This girl! Can’t wait to see what else you have planned for your project! I think the other books are even better!! 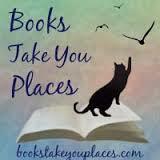 They are quick reads, you should definitely try them! I loved reading the book series when I was younger 🙂 Looking forward to your reviews! They’re whimsical so you would definitely enjoy them! I didn’t know that this is part of a series. Great post! I’m not very much familiar with the other stories, but I loved Wicked (the musical one). Although I heard that it’s totally not connected with the original Wizard of Oz story. But ever since I watched the musical, I can’t accept that the Wicked Witch of the West is bad. Looking forward to your other posts! I know I love how Wicked shows the witch in a different light, Dorothy always kind of annoyed me in the books..she is TOO good, if that makes sense so I think that is why I loved Wicked so much! You should read the series if you get a chance, they are quick reads and loads of fun! That’s so cool that Baum actually continued with this series! It does sound like the movie is pretty faithful to this first book, at least in your summary. I’ll be interested in reading about the retellings you’ve found of this tale! I’ve never read the the books, but I know they differ quite a bit from the movie. I am actually hoping to read the first book this year. I live in CNY, where Baum born, and every year in Chittengo (I think) they have this big Wizard of Oz parade and kids come dressed as characters are get to walk in the parade. It’s great. Do you know that it has been my goal to go to this parade?! There is a whole Oz festival in Kansas and I have ALWAYS wanted to go! !